Go 2 miles west on U.S. 302, then 6 miles NW on VT 232, then 1.5 miles E on Boulder Beach Rd. Hiking: A system of trails connect most of the major points of interests in the 26,000-acre Groton State Forest. Swimming: Swimming is available at Boulder Beach State Park. Boating: Boats are welcome at Boulder Beach, Kettle Pond State Park, New Discovery State Park and Ricker Pond State Park. Boats can be rented at Boulder Beach and Seyon Lodge State Park. Fishing: There is fishing at Boulder Beach, Kettle Pond, New Discovery, Ricker Pond and Seyon Lodge. Mountain Biking: Groton State Forest has over 20 miles of multi-use trails great for mountain biking. Nature Programs: The Groton Nature Center is within walking distance. Check-in for Big Deer is at Stillwater State Park. This park is one of seven parks in the Groton State Forest. These parks are all within close proximity to one another (some within walking distance) and entry to one provides free entry to all. Combined, the parks offer a range of activities and attractions. Welcome to Big Deer State Park, located in the Groton State Forest Recreation Area close to the Groton Nature Center, Boulder Beach State Park and Stillwater State Park. As early as 1704, Native Americans and the French were using routes through Groton to reach Canada and Massachusetts. Colonists settled this area of Vermont slightly earlier than the rest of the state due to the accessible network of waterways. The rocky, tree-covered hillsides were originally cloaked with white pine, spruce, hemlock, beech, maple and birch. These were logged by local farmers for lumber, fuel and potash. The logging industry was large-scale for almost 100 years while the railroad was operating. Today, logging is still a vital industry in the area, but has lost some of its dominance in favor of modern society’s leisure time movement - private cottages/seasonal homes and a variety of outdoor recreation activities. Groton State Forest, with over 26,000 acres, is the second largest landholding administered by the Department of Forests, Parks and Recreation. It contains over 17 miles of hiking trails and over 20 miles of gravel roads and multi-use trails suitable for mountain biking and horseback riding. Big Deer State Park is within close proximity to the six other parks in the Groton State Forest. 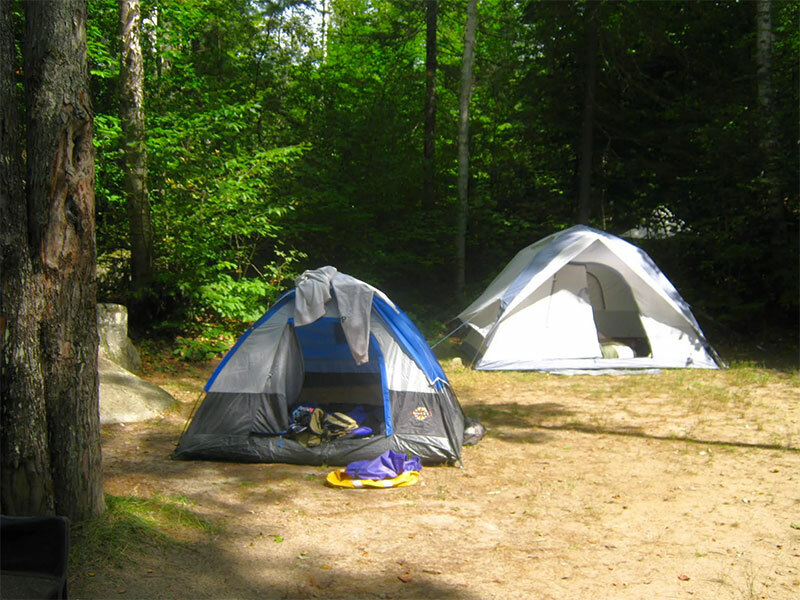 While it is used primarily as a campground, there are plenty of other activities and attractions at the nearby parks.